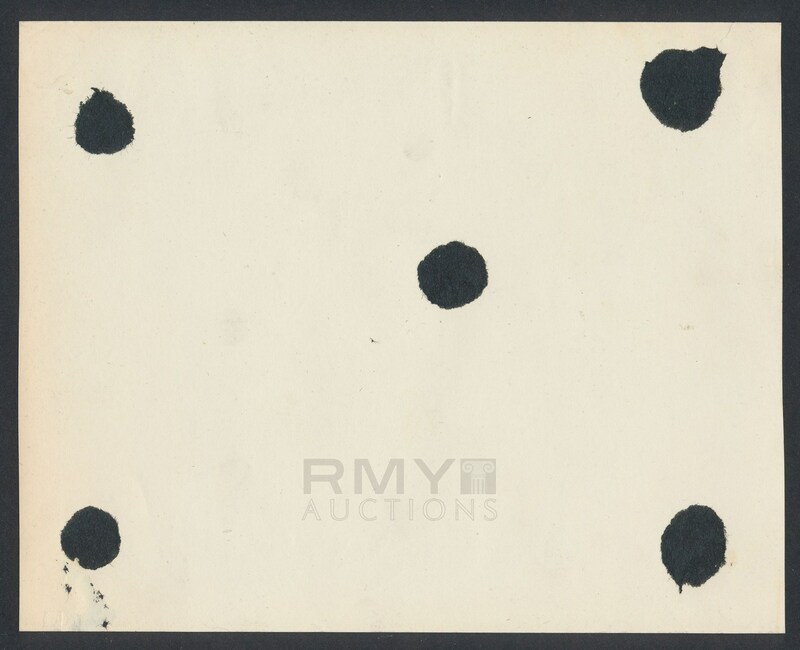 Lot # 43: 1937 Lou Gehrig, "Signs $36,000 Contract for Upcoming Season" with Joe DiMaggio! 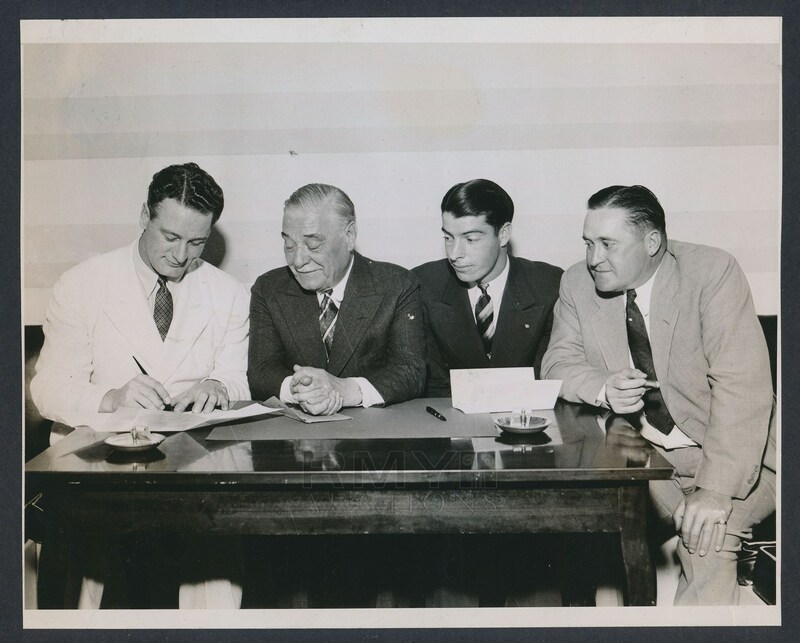 March 21, 1937 photograph of four Hall of Famers gathered to memorialize Lou Gehrig putting pen to paper to sign his contract to play for the New York Yankees in the upcoming season for a whopping sum of $36,000! Gehrig was accompanied by fellow star Joe DiMaggio coming off his rookie year and owner Jacob Ruppert along with manager Joe McCarthy. It must have felt good to get Gehrig signed up as he was the best player in the game! Condition and quality are both outstanding!